It's the oldest temptation in human history, one that targets the authority of God's Word at its very foundation. Its modern rephrasing takes many different forms, both in academia and in popular culture: Are the New Testament documents reliable? 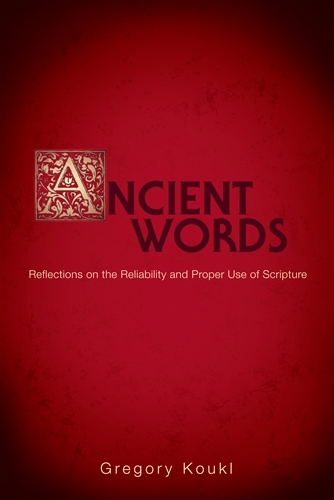 Have ancient biblical books been lost or suppressed by the early church? Are the words of the Bible just flawed human inventions? These questions introduce doubt at the point of contact between God and man, undermining the Christian's confidence in the words of Scripture. Even those secure in their affirmation of divine authorship must wrestle with a similar question: "Did God really say… to me?" In other words, do the promises in Scripture apply to the individual Christian's life today, or only to those originally addressed? How is one to understand and appropriate these biblical assurances? In this timely collection of essays, apologist Gregory Koukl carefully and lucidly addresses each of these issues, providing both solid evidence for the reliability of Scripture and a clear roadmap for how it should be read and applied. His well-reasoned responses to these popular challenges to biblical authority will help reinforce the Christian's confidence in this trustworthy book.